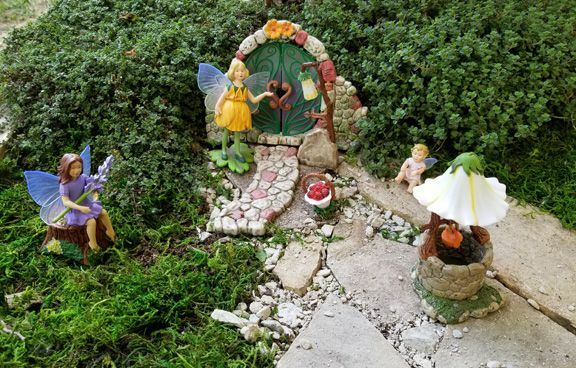 “You’re never too old to be young,” said Snow White, so nurture your creativity by adding a little whimsy to your garden. Bring the generations together and make your garden a magical play space for younger gardeners-to-be. Tuck in a few surprises in unexpected places. 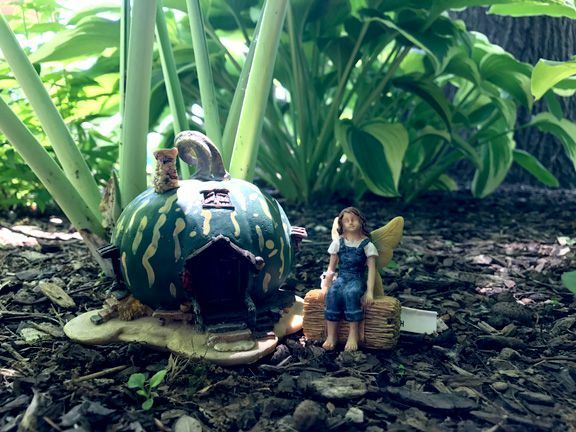 Mini gardening is for boy, girls, moms, dads, grandmas, and grandpas! 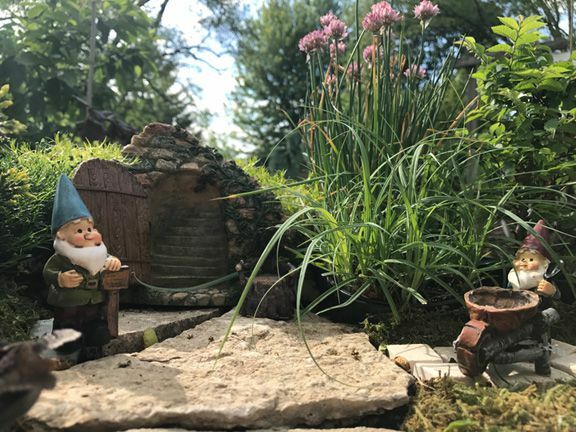 Gardening is an expression of the artist and gnomes, fairies, even dinosaurs or mini-Minions can add a whimsical touch. This year we've added the Flower Fairies Secret Garden Series with inspiration from Cicely Mary Barker. Made of durable plastic, they are great for the tiniest of gardeners to play in the garden. 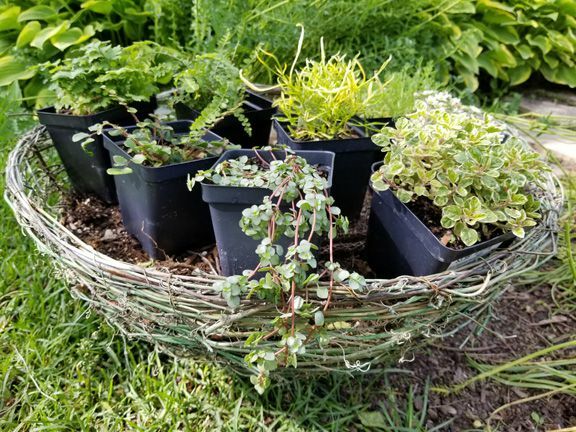 Mini-gardening can be a gardening outlet if you live in an apartment or a gateway to larger garden projects by getting you started on a smaller scale. For children, mini-gardening can encourage respect and care for our Earth as well as starting them on a life-long hobby that is as good for our health as it is for our souls. Create a welcoming mini-garden by your front door or outdoor seating area to add personality. Or, tuck a hidden garden under a tree or an upright hosta for guests (either humans or fairies) to discover. Mini-gardens in containers also make thoughtful gifts. Provide shelter for tiny garden visitors. A plant that mimics a tree can provide shelter as well as tiny cottages, campers, trailers, gourds, or even pumpkin houses. Take inspiration from nature by including an old stump, tree branch, or rock. 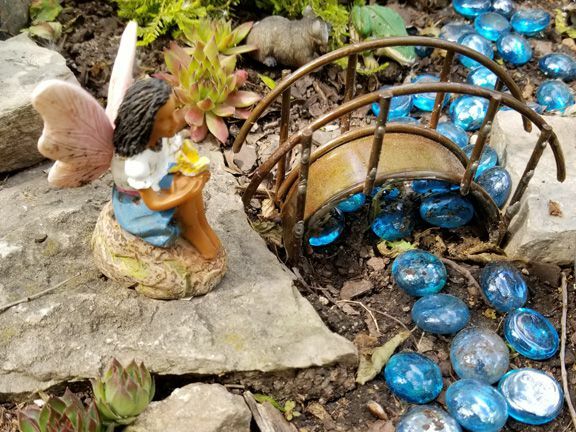 Create a mini-path for fairies to find the way, or perhaps turn those paths into roads for tiny race cars or even train tracks. Maybe we have the gnome for you? Include a bit or sparkle by using small mirrors, stones, crystals, or colored glass nuggets. Add water by including a small dish to collect water or perhaps a spot for tea. Invite tiny visitors to spend some time in your garden with a tiny tea set and a chamomile plant. Take good care of your garden, infusing your garden with an ample dose of fun, happiness, and perhaps some soft music. Don’t forget scent. Add some Creeping Thyme, Corsican Mint, Lily of the Valley, or other fragrant plants to excite the senses. The same design principles used in your total landscape apply to mini-gardening. Framing plants will be the backdrop for the accents. 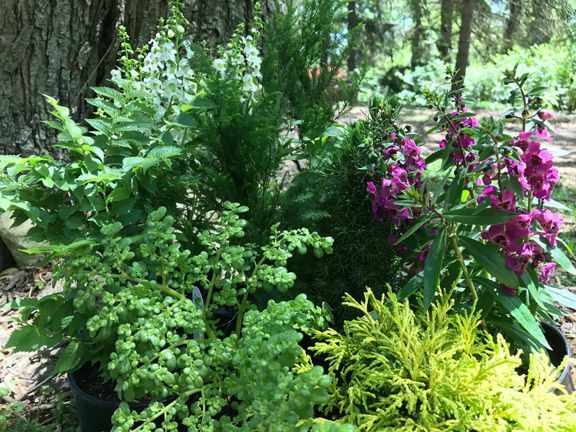 Pictured above: Jean's Dilly Spruce, Jacqueline Hillier Elm, Golden Mop Chamaecyparis, Angelonia Archangel Raspberry, Basil Spicy Globe, Artillery Fern and Plumosa Fern. Focal point plants will accent the central area and provide color. They should remain lower and mounded without hiding the accents. 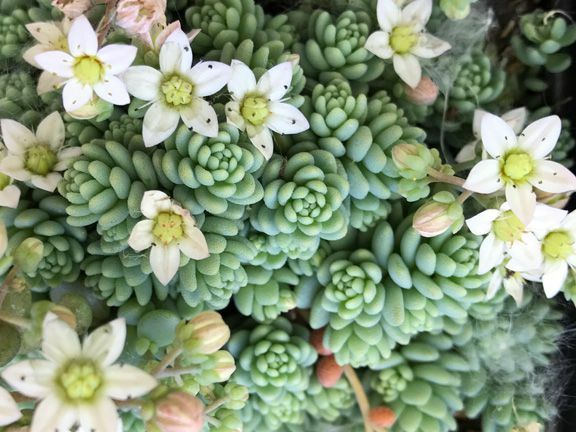 Groundcover plants connect and fill the surfaces. 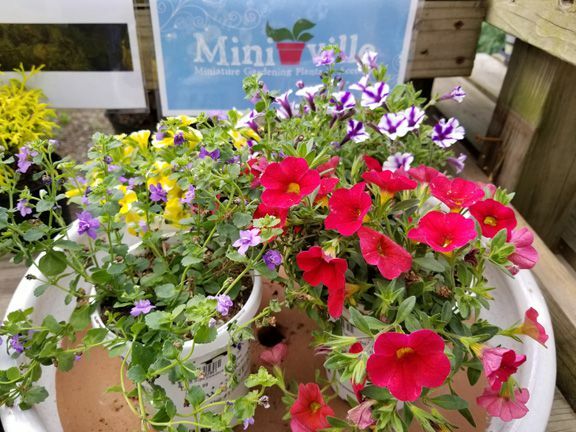 As always, we are available to answer your questions about mini-gardening and hope you will join us for our Magical Mini Garden Fest on Saturday, June 3 from 9am-5pm in Naperville and Sunday, June 4 from 11am-5pm in Aurora. 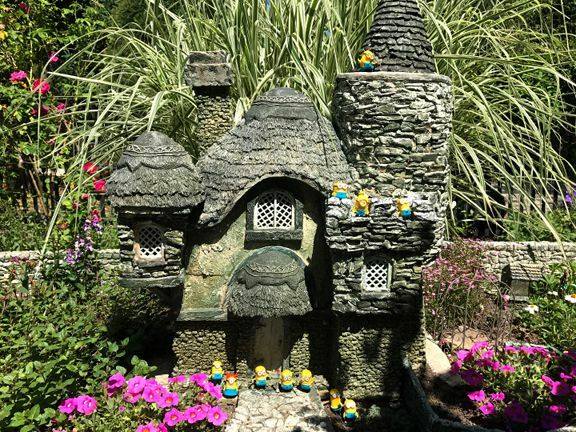 In Naperville visit with a real live fairy, mini-unicorns, and hunt for mini-minions. In Aurora, Grunyon the Gnome is back with new gnome tales and you can go on a Unicorn Safari. At both locations, we'll be making fairy wands, wings, gnome hats, and fairy doors, having tea in the Fairy Tea room, and face painting. We can help you make your own mini-garden (cost of materials). There's no entry fee. Crafts and activities priced individually. It's going to be a magical weekend. See you there! Click here for the full schedule.